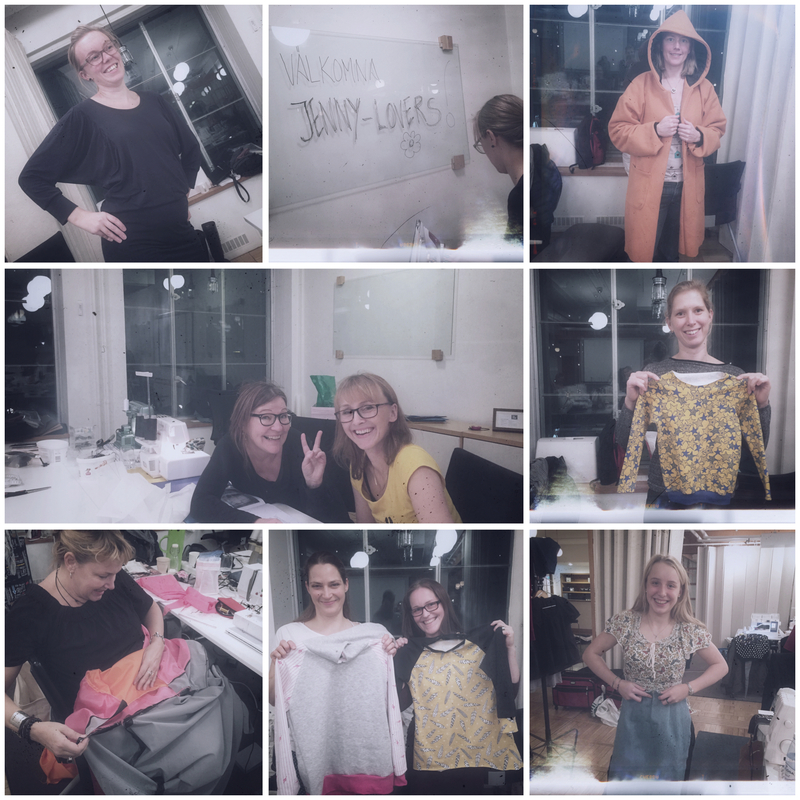 Last Saturday I was invited to come and say Hi:) to a few of them, since they had decided to spend their Saturday with their sewing soulmates and sewing machines in central Stockholm. 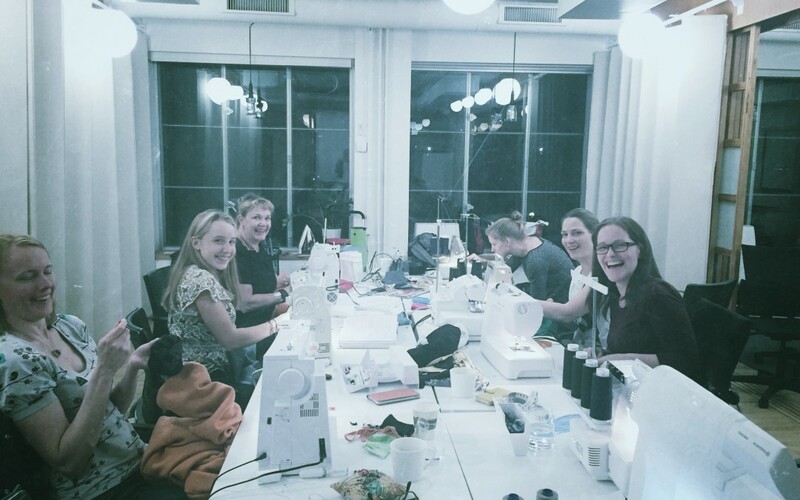 Along with tons of pretty fabrics, threads and ideas, many of them had brought not only one sewing machine but THREE! I admit I was a bit nervous when I entered that room:) filled with these cool women, but as soon as I got a chance to hug them a little:) my jitters were gone. The energy was just amazing–so much love and laughter. 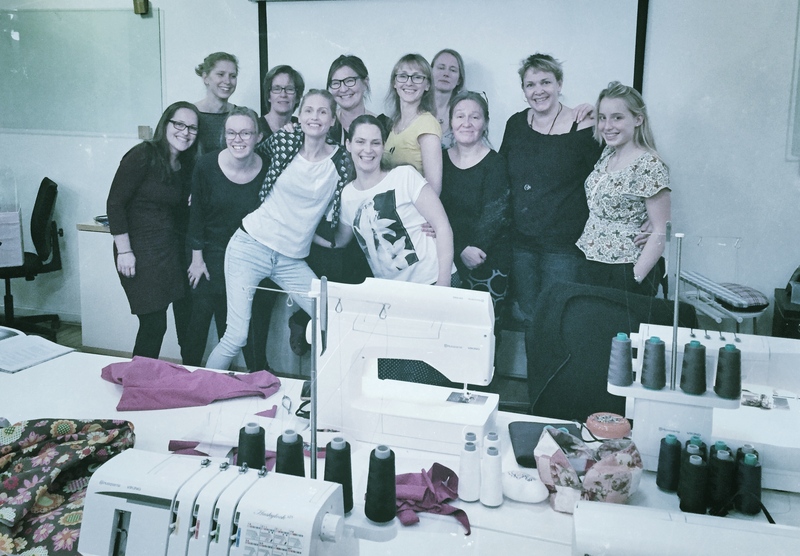 Some of them more experienced with sewing, some of them less; but they really proved that creating is not about how skilled you are. It’s all about believing in what you want to make and then just going for it! Thank you beautiful Pumas, that you let me come and visit you. I had the best time and felt high the rest of the day for getting to be part of your lovely gathering for a little while!